Islamic State has confirmed the death of notorious British terrorist known as “Jihadi John” in the latest issue of the organisation’s magazine Dabiq. The Islamic State names “Jihadi John’ as Abu Muharib Al-Muhajir and describes him as originally from the Arabian peninsula with a mother from Yemen. It also goes on to say that Muharib – who went by the name Mohammad Emwazi during his time in the United Kingdom – and his family moved to London when he was young. Mr. Emwazi’s journey to becoming “Jihadi John” began in 2005 according to the article, after the 7/7 bombings occurred on the London transport system. “He would busy his days with jihad related work,” the magazine says, noting that he did so alongside two other jihadists who were later killed in U.S. drone strikes in Somalia. Mr. Emwazi is said to have attracted the attention of MI5 shortly after embarking down the path of jihad. Dabiq describes a “campaign of bugging devices, routine surveillance, house raids, arrests, and no-fly lists,” implying that he was very well known to British authorities. The magazine describes his journey across Europe to Syria as arduous. It says how he had to walk through forests and mountains and sneak across borders. The author also makes a footnote saying the magazine may write more about his journey in a future issue. In 2012, Mohammed Emwazi was able to gain access to Syria and he formally joined ISIS forerunner group al-Nusra. After the split between al-Nusra and current leader of ISIS Abu Bakr al-Baghdadi, he is said to have been one of the first to swear allegiance to the so called “Caliph” of the Islamic State. 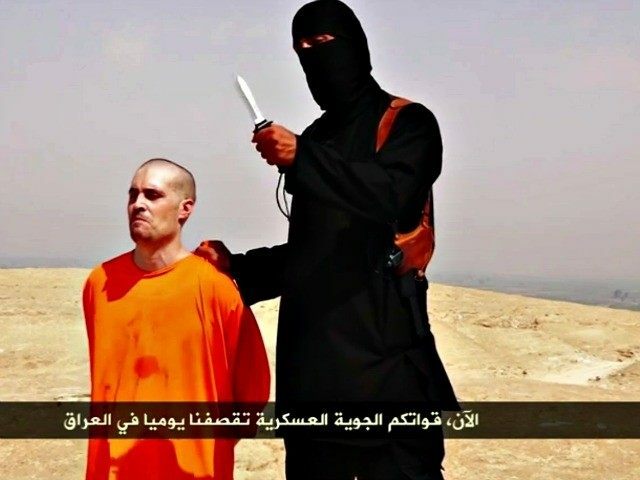 “His harshness towards the kuffar (non-believers) was manifested through deeds that enraged all the nations, religions, and factions of kufr, the entire world bearing witness to this,” the author says as they describe the horrific beheadings of U.S. journalists Steven Sotloff and James Foley, British Aid workers David Haines and Alan Henning, American aid worker Abdul-Rahman Kassig and Japanese journalist Kenji Goto. The remainder of the article details Mr. Emwazi’s tears over attacks on Palestinians, his passion for teaching children the Quran and his visiting the children of other jihadis killed in drone strikes. United States military spokesman Col. Steve Warren named Muharib as Mohammed Emwazi and confirmed his death via drone strike while Muharib was inside a vehicle. This description matches the cause of death given in Dabiq. The role of executioner in ISIS has now passed on to another Jihadist who some think may be an associate of notorious British muslim preacher Anjem Choudary. The ISIS tribute to the man who commited their most public atrocities is not alone in its attempt to humanise “Jihadi John” as Breitbart London reported back in November.